Burnett Henry Sams, III, 87, went peacefully to be with our Lord on May 25, 2018. Born in Seattle, Washington in 1931, he received his BS in Physics from the University of Washington (1951), and his M.S. (1953) and Ph.D. (1958) in Mathematics at the University of Illinois. There he married Dorothy in 1956. 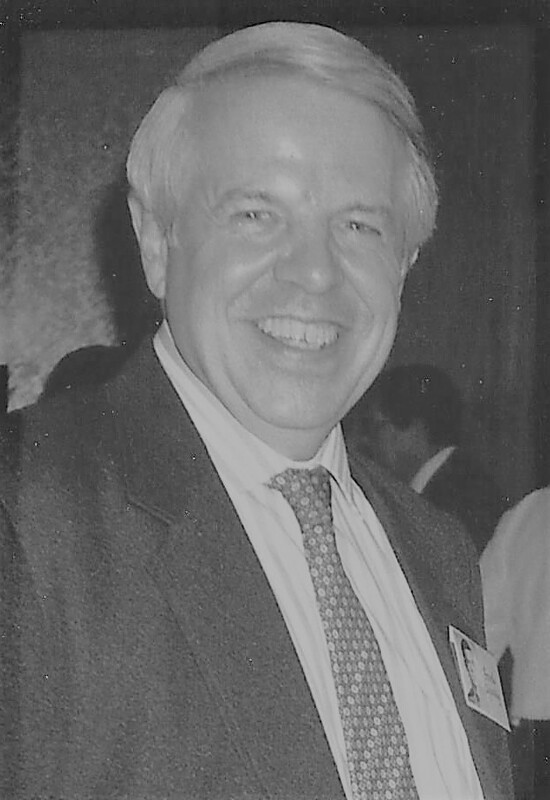 His professional career began as an instructor at Dartmouth College and a computer researcher at MIT in Boston, and continued to include manager of data systems research and ACSI-MATIC program at the Space Laboratory of RCA in NJ, professor of engineering and computer science at Stevens Institute of Technology, Program Management of FCC Licensing and Regulations at the Pentagon, and many years in management of integrated systems at NBC television studios, both in Rockefeller Center and Burbank. He was a pioneer in computer systems related to broadcasting, satellites, high definition television, and spectrum utilization. Among his work, he developed systems using fiber optic networks, microprocessors, and internet protocols, to control multiple remote analog and digital servers to simplify a TV director’s job in composing and combining recorded and live action material. He enjoyed being present at many national conventions and at Olympic games to oversee smooth broadcasts. He was the first employee at NBC Studios to utilize a desk top personal computer. Among his awards was the David Sarnoff Achievement Award of Science. In his free time he enjoyed time spent with his family sailing, camping, traveling, and square dancing, as well as hobbies of amateur radio, international chess games, gardening, and marathon running. He will be remembered not only for his technical brilliance, dry sense of humor, and his peaceful and patient demeanor, but most importantly for his faithfulness to our Lord Jesus and his desire to give other people the opportunity to hear the Bible taught and respond in faith to Jesus Christ. As a young scientist he himself wrestled with being able to accept the Bible’s inerrancy and God’s gift of forgiveness through Jesus, but soon thereafter, committed his life to follow Jesus and lived out his faith in various ways. 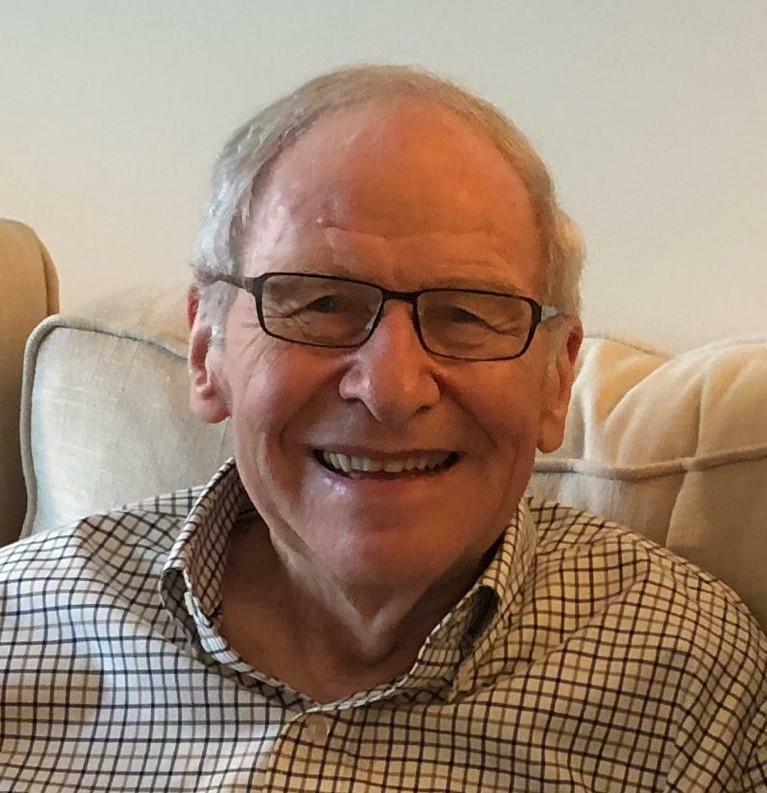 Over his 55 years residing in Princeton, he served Nassau Presbyterian, Kingston Presbyterian, and Princeton Alliance churches in various capacities. He co-founded the Living Word nonprofit organization, under which he co-founded the Lamplighter Christian Bookstore, providing Christian books to the university community prior to internet retail. He also served the Princeton community through Big Brothers, Family Service Agency, the United Way, Princeton Community Action Council, and the Gideons. He and Dotty opened their home to foster children and many international students. In his later years he served on the Christian Union Princeton Community Advisory Board, whose mission is to advance the Gospel of Christ on the 8 Ivy-League campuses, and he created endowed scholarships for seminary students at Gordon-Conwell Theological Seminary. Burnett was the great grandson of a Baptist circuit riding preacher in NC who co-founded the Mars Hill College. He is survived by his wife of 61 years, Dorothy Sams; his two daughters, Barbara Becker of Andover, MA, and Deborah Smith of Port Republic, NJ; their husbands Gordon Becker and John Smith; and seven grandchildren, Cassandra (Becker) Suarez, Kyle Becker, Davidson Becker, Evelyne Becker, Daniel Smith, JoAnna Smith, and Jacqueline Smith. Burnett spent his last few months living with his wife at his daughter Deborah’s house, along with several grandchildren. Memorial contributions may be made to The Burnett H. and Dorothy F. Sams Visiting Professor Preaching Fund at Gordon-Conwell Theological Seminary, 130 Essex Street, South Hamilton, MA, 01982. A service celebrating his life will be held at Princeton Alliance Church Saturday, November 24, 2018 at 1:00 p.m. Condolences extended to the family, and any inquiries, can be sent to Barbara.X.Becker@gmail.com. 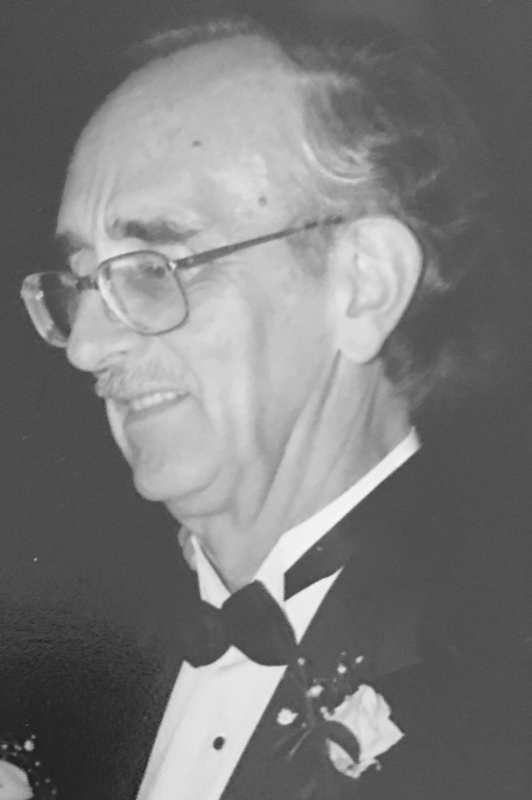 Henry Edward Nyce, 86, of Skillman died on Saturday, November 3, 2018, just three weeks after the passing of his wife, Marjorie K. Nyce. Born in Sellersville, PA, he resided most of his life in West Windsor and Princeton before moving to Skillman five years ago. Ed was a member of Stone Hill Church, Princeton and very involved in the Stonebridge at Montgomery community. Son of the late Lloyd and Madeline (Luehrs) Nyce, he is survived by daughters Deborah Flanagan, Karen Bruno, Brenda Nyce-Taylor and a son, Thomas Nyce, 10 grandchildren, and one great-granddaughter. Friends may call on Saturday, November 10, 2018 from 10 until 10:45 a.m at Stone Hill Church, 1025 Bunn Drive, Princeton, to be followed by a Memorial Service at 11 a.m. Arrangements are under the direction of The Mather-Hodge Funeral Home, Princeton, matherhodge.com. Dr. Francis C. Oglesby, 86, passed away on Saturday, November 3, 2018, in Springfield, VA. Frank was born in New York City, NY and raised in Bloomfield, NJ. He was the youngest of four brothers. He graduated from Dickinson College and received a Masters and Ph.D. in Mathematics from Lehigh University. In 1961, he moved his family to Princeton, NJ, where he resided for 57 years. Frank was an associate professor of mathematics at Princeton University for six years. He then served as a chief officer at Applied Logic, working on artificial intelligence before returning to teaching at Rider University. Frank loved music, to read, play tennis, and interact with people. He was an active member of the Barbershop Harmony Society, where he sang tenor. He is survived by his wife of 63 years, Victoria; daughter, Elizabeth Scanlon (Brian); grandchildren Michael and Deirdre Scanlon; and niece and nephews, Karen and Zachary Eisenhart and Patrick Heller. A memorial service will be held at Greenspring Chapel on Friday, November 16, 2018 at noon. 7420 Spring Village Drive, Springfield, VA 22150. Please join the family for a lunch reception following the service. In lieu of flowers, memorial contributions can be made to the Alzheimer’s Association and St. Jude’s Hospital.